Prof. Liu Mingkang received his MBA degree and the honorary doctorate from the City University of London. Prof. Liu is a member of the 17th Central Committee of the Communist Party of China, and a member of the China National Energy Commission. He served as the first Chairman of the China Banking Regulatory Commission (CBRC) between March 2003 and October 2011. He also served as a member of the Monetary Policy Committee of the People’s Bank of China. Before heading the CBRC, Prof. Liu held various positions in both banking institutions and government agencies, including, among others, Chairman and President of Bank of China, Chairman of China Everbright Group, Deputy Governor of the People’s Bank of China, Deputy Governor of the China Development Bank of China, Deputy Governor of Fujian province and Secretary-General of the Fujian provincial government. Prof. Liu also serves as a senior fellow of Hong Kong Institute of Bankers. He was a member of Financial Stability Board (FSB), vice chairman of the Standing Committee on Supervisory and Regulatory Cooperation under the FSB, a member of the Governance Body of the Basel Committee on Banking Supervision (BCBS), and a director of the Board of International Center for Leadership in Finance (ICLIF), Bank Negara Malaysia and Vice Chairman of the International Institute of Finance. He also served as a member of the Advisory Council of the Daimler-Chrysler Group. Prof. Liu sits on the International Advisory Boards of both Guanghua Management School of Peking University and the School of Economics and Management of Tsinghua University. 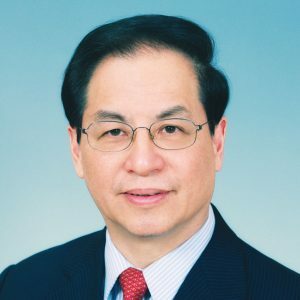 He is the honorary Dean of the Lingnan (University) College of Sun Yat-Sen University, BCT Distinguished Research Fellow of the Lau Chor Tak Institute of Global Economics and Finance, The Chinese University of Hong Kong and Honorary Professor of CUHK Business School. In 2010, CBRC and Prof. Liu were jointly named the Risk Manager of the year 2009 by the Global Association of Risk Professionals (GARP). He was also an invitee of the ASPEN Institute and Group of 30.